Amsterdam, the Netherlands, 24 May 2018 – RETN, a fast-growing international network service provider connecting 36 countries on 3 continents through 220+ network PoPs, has planned to add a new Point-of-Presence in Datacenter.com’s Amsterdam AMS1 facility – a colocation data center strategically located in the Amsterdam Southeast business district. RETN expects the strategic location of Datacenter.com AMS1 as well as its enterprise-grade and cloud-ready amenities to be an attractive colocation environment for international enterprises, cloud service providers (CSPs), and online gaming providers alike. With extensive network coverage in Europe including CEE countries, CIS countries and Russia, RETN has expanded its international network across Asia and North America during the last couple of years. As part of continued commitment to the expansion of its operations in Europe, RETN opened its regional Benelux offices in Amsterdam in 2017. 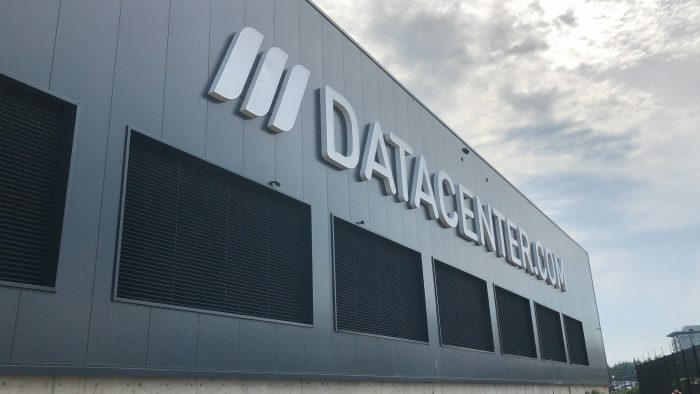 The plans announced today to establish a new PoP in Datacenter.com’s Amsterdam AMS1 colocation facility provides RETN with expanded connectivity options in the Amsterdam market and beyond. Part of a planned targeted global roll-out of large-scale colocation data centers, Datacenter.com’s Amsterdam facility features a unique Indirect Adiabatic Cooling setup with a calculated energy-efficient pPUE figure of 1.04 – recently awarded with a Datacloud Europe 2018 nomination. Cloud-ready features include large cabinets (54U, 11kW+), as well as month-to-month flexible contracts. The modular cooling infrastructure in this facility is located directly under the cabinets with hot aisle setup, under the raised floor with a height of 4.7 meters. The announcement of RETN planning to deploy a network PoP in this 54,000 sq. ft. Amsterdam AMS1 colocation facility adds to Datacenter.com’s ability to meet high redundancy and high volume bandwidth needs set by cloud providers, enterprises, online gaming providers, and other customers with demanding network requirements. The announcement follows the news that Datacenter.com’s AMS1 data center got nominated by Datacloud Europe under the ‘Excellence in Data Centre Architecture and Design’ award category. The winner of four nominees for this data center architecture award will be announced during the Datacloud Europe 2018 award ceremony in Monaco, 12-14 June 2018 (www.datacloudcongress.com). RETN is one of the fastest growing independent European network service providers with a unique capability to connect Europe and Asia. It is the only provider that operates its own end-to-end network stretching between North America and Asia and running through Western Europe, Belarus, Ukraine, Russia, Kazakhstan and onwards to the Chinese border. RETN offers differentiated terrestrial connectivity between these major markets with industry leading delivery times, lower latency, leveraging deep technical expertise and providing better reliability than traditional terrestrial and subsea routes. To learn more about RETN, visit http://retn.net.